What is medical devices sustainability? Medical devices are considered a huge field of use in healthcare, and PVC provides the best solution, due to its properties and high flexibility. The great advantages of this material are evident in terms of quality at a low cost, which has allowed the broader population access to safe, first-rate and affordable healthcare. But this is not enough. For us, medical devices sustainability also means environmental impact: the European PVC industry is committed to sustainable development throughout the whole value chain. Medical grade PVC is a high-class material, which can recycled again and again into useful products. 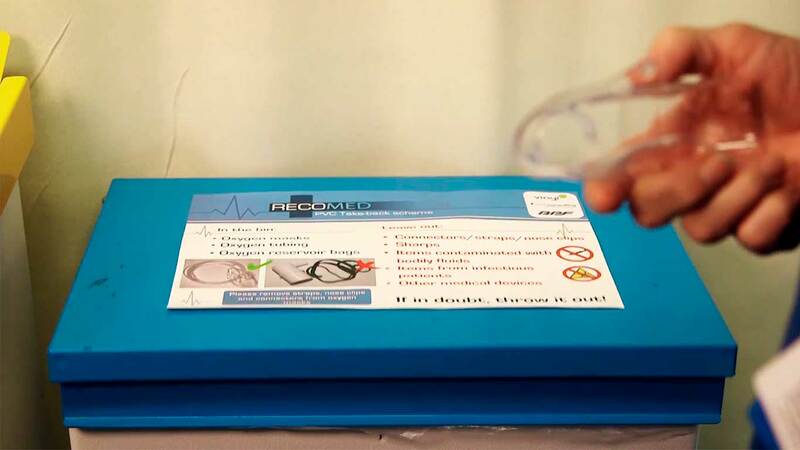 This, together with the fact that many medical devices such as oxygen masks and tubing are used for a few seconds on non-infectious patients, have led to the establishment of a highly successful recycling system in Australia and New Zealand hospitals: around 170 now collect medical devices for recycling. In the UK a similar pilot project has been set up, which is supported by the European PVC industry's sustainable development programme VinylPlus®. By recycling these high quality products, hospitals can contribute to the circular economy and help achieve sustainability targets.